This March we could put off taking action no longer. 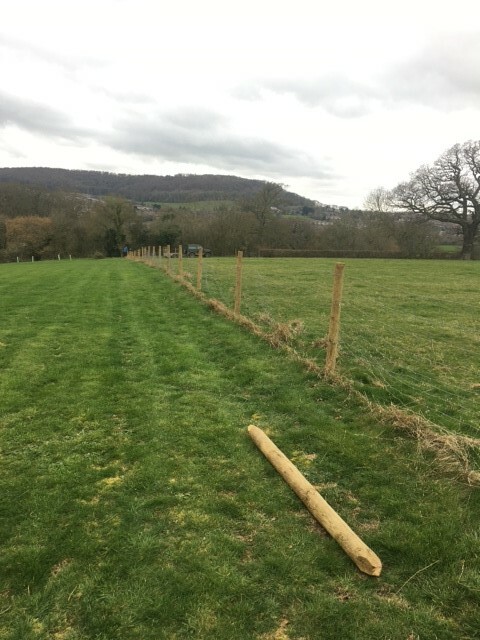 Fencing is a new skill we needed learn. 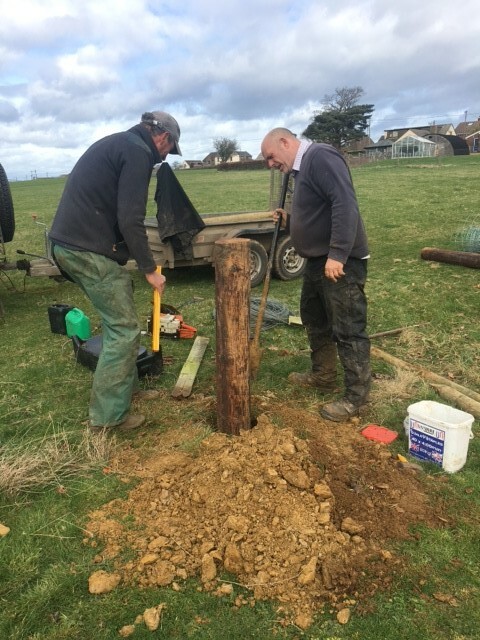 We read up on it in Tim & Dot Tyne’s excellent ‘Viable Self-Sufficiency’ book, then called in help from our nearby friends at Copsegrove Farm, who generously offered to complete our up-skilling with some practical on-the-job training support. 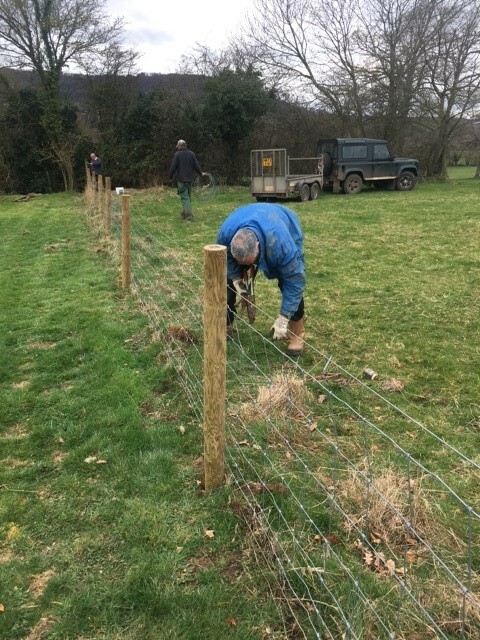 Which turned our very satisfying first section of new fencing into a doddle, since Farmer Martin is an expert, having replaced a mere 17km of fencing himself at Copsegrove. 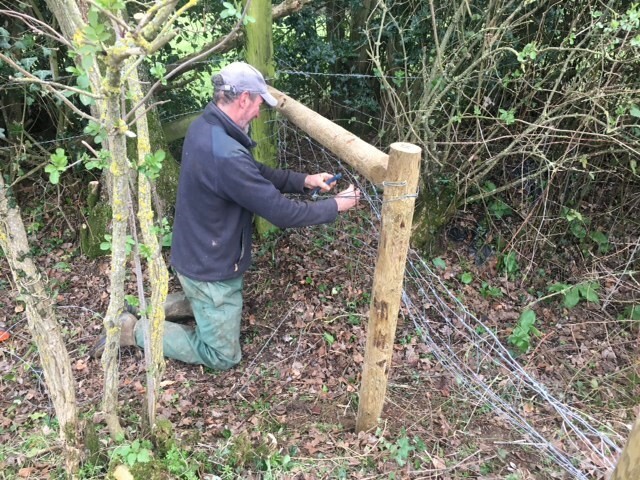 Martin taught us the secret of ‘New Zealand Corners’ for a solid well tensioned fence, and now we are looking forward confidentially to eventually having lovely new fencing throughout The Secret Acre, complete with New Zealand Corners of course! 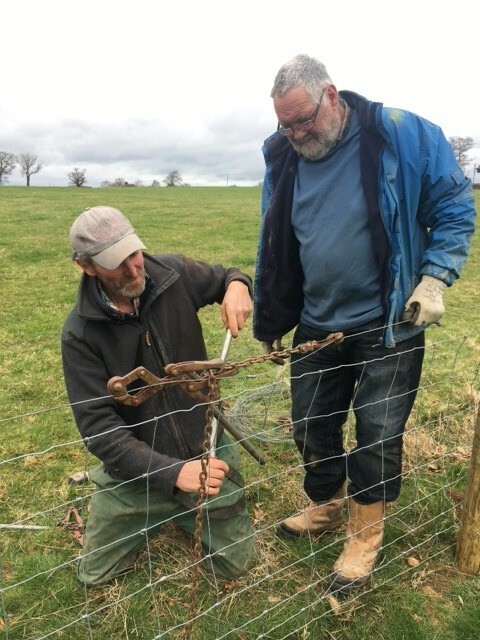 This entry was posted in Paddock and tagged Copsegrove Farm, Emma Alesworth, fencing, New Zealand Corners, Paddock, Paul Rainger, repair, Smallholding, stock fencing, The Secret Acre, Tim Tyne, training, Viable Self-Sufficiency by paulrainger. Bookmark the permalink.